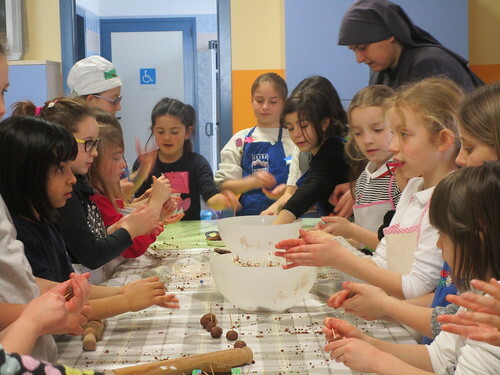 On Sunday, February 11, Our Lady of Lourdes Feast Day, we had a day get-together for girls in Lumezzane. 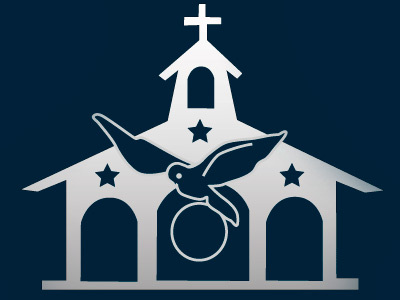 The get-together began with Mass at 9:30 in the Saint Apollonio Parish. The theme for the get-together was Our Lady of Lourdes because it was her feast day. When we arrived at the house, each girl received a pilgrim ticket to Lourdes with a nationality, an illness, and a virtue to ask Our Lady for. We continued the welcome with some games. Afterwards, we showed a cartoon video about the apparitions of Our Lady of Lourdes so that the girls could become familiar with the story. We had a meeting in which we continued to talk about the same topic, asking questions to see if everyone paid attention to the story. The moment for lunch arrived, so we sat down to eat our sandwiches. After lunch was over, the girls did a food craft: truffles made with cookies and chocolate. IT was a totla succes! After cleaning up the craft and putting the truffles in the freezer, it was time to go up to the chapel to spend some time with the Lord and Our Lady. Since it was the day for the sick, we presented petitions to Our Lady and prayed for all the sick people that we knew. 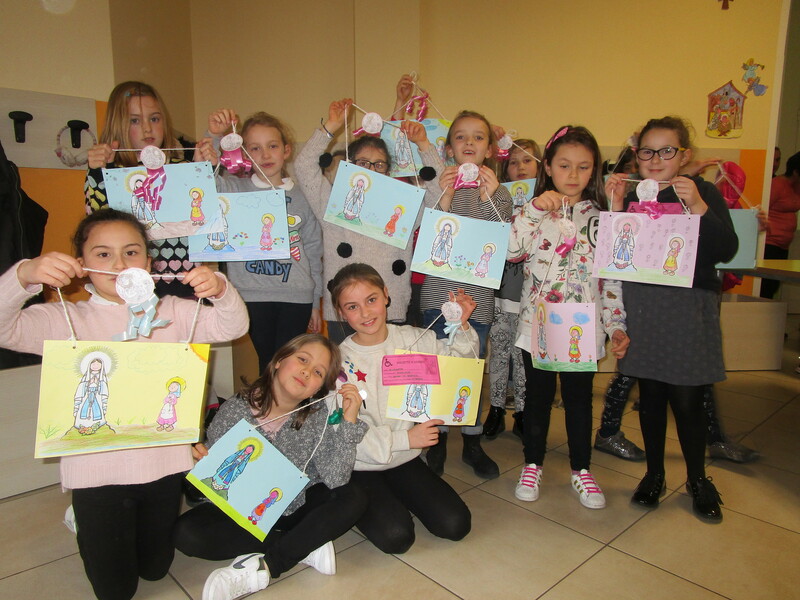 We played some more games and then it was time for the craft: picture frames with Our Lady of Lourdes and St. Bernadette. They were beautiful! The girls were quite the artists! We interrupted the craft to pray the Rosary with songs with the Home’s Lay members who were on retreat. Then we went back to the craft to finish the pictures. Later, the older girls had a game of clues prepared and which the little girls really enjoyed. The game finished at the feet of Our Lady of Lourdes where the girls prayed for their cure and the virtue they had received on their ticket. With our energies spent, we took the truffles out of the freezer for a snack. They were delicious! With that, it was time to wrap up our get-together. The day flew by in the company of Our Blessed Mother, the Virgin Mary who was the center of our get-together. She certainly showed herself a Mother with all of the girls who returned to their homes very happy.